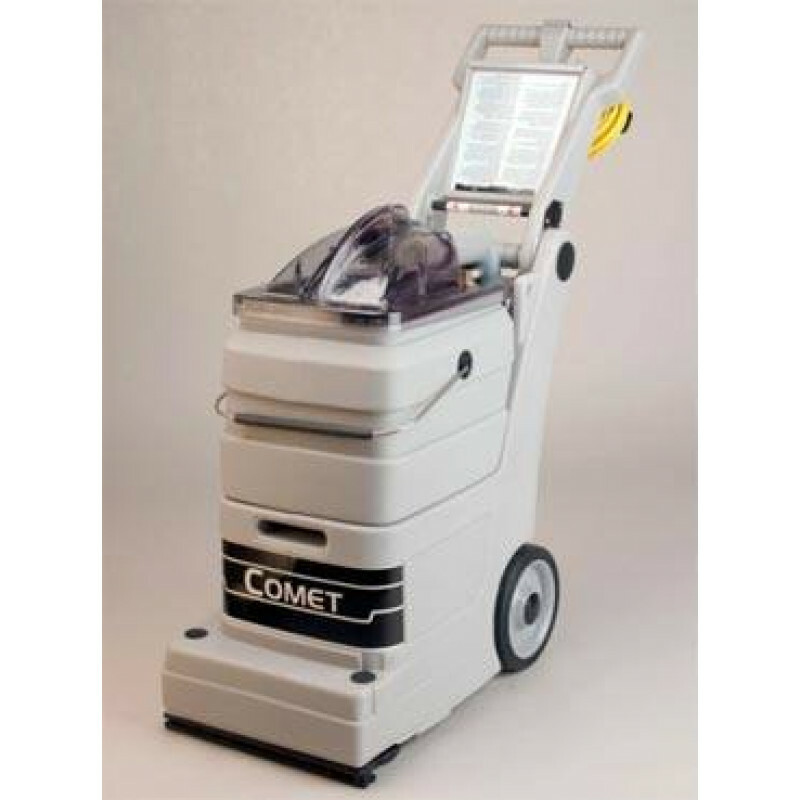 If you're looking for a machine that you can add to your rentals this is it, the EDIC Comet. It is relatively light weight at 40 pounds, making is easy to use for just about any homeowner or renter. This 3 gallon self contained extractor by EDIC has a fold down handle for easy transport in smaller vehicles. But, don't let the size fool you-- this machine has enough cleaning power for most commercial applications. A revolutionary bladder design eliminates the need to pour solution into the machine. Simply fill the bucket, set it on the machine, close the lid and begin cleaning. No more spills or mess! If you're looking for a larger capacity machine make sure to check out our other self contained carpet extractors. We also have the 7 gallon carpet scrubbing machine. Our handy EDIC Comparison Chart will help you decide which EDIC machine is right for you. 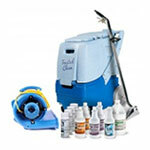 Full complement of accessories attaches to back of unit for cleaning upholstery, stairs, etc. See-through recovery dome to see what your picking up. Lifetime warranty on the tanks, 2 years on parts and labor.